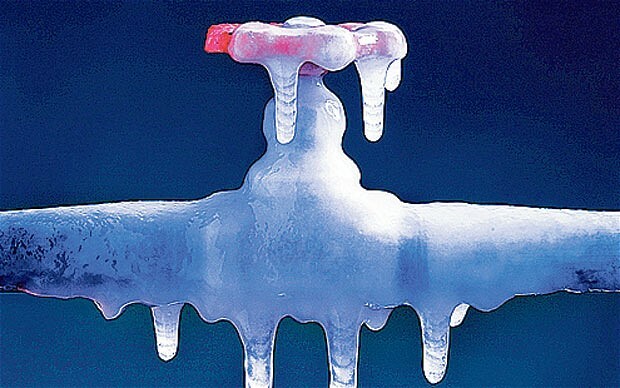 Cold weather can cause lots of problems for plumbing and pipework in a home. Water running through an area which is not heated can freeze in the cold, frozen pipes can cause damage to plumbing systems and some appliances can be very badly damaged by this. Pipes running through garages, lofts and roof spaces, under suspended wooden floors on the ground floor, cellars and outbuildings are at greatest risk. Other pipes that may be affected are hot and cold water pipework to taps on basins, baths, showers, WCs, sinks and boiler condensate pipes. If you are going on holiday over winter consider leaving your heating on a low temperature, if you are going away for a long period of time consider draining your system and refill on your return. Either way it is advised to turn the incoming stop tap off fully. Try to make sure pipes don’t run through an unheated area, if this is not possible insulate with pipe insulation, this is a very cheap option, it is simple to do and can be purchased from any DIY store and will slow down the freezing process, but will not prevent it completely. Keep your eye on your water pressure or water flow because the first sign of a frozen pipe is restricted water flow. Consider leaving your tap open slightly in order to allow water to flow. This water movement can prevent freezing, although it will affect your water bill over extended periods of time. Disconnect garden hoses and drain outdoor pipes as they can cause major damage if left connected and freeze. Cover outside faucets using a faucet insulation kit. Keep garage doors closed if you have any pipes in there to keep temperature higher. Get your boiler serviced to ensure it is working correctly and there are no leaks and drips which can freeze. Know where your property’s internal stop tap is, and make sure it will turn off if you ever need to. Most stop taps are fitted under the kitchen sink and close by turning clockwise. Open kitchen and bathroom cabinet doors to allow warmer air to circulate around the plumbing. If it gets very cold consider raising the temperature on your thermostat. If you normally lower the temperature at night, leave it at the daytime setting. Can you help us Business of the Year Awards 2017?